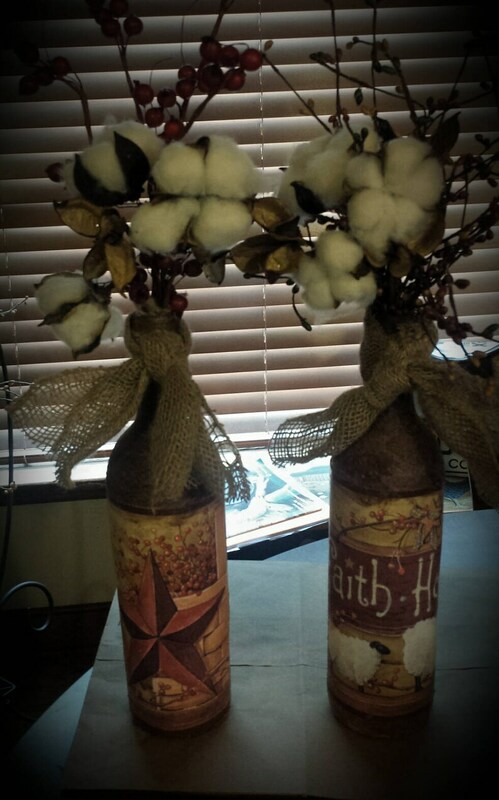 One Prim Wine Bottle with Barn Star Print or Sheep Print,Cotton Stems and Pip Berries. 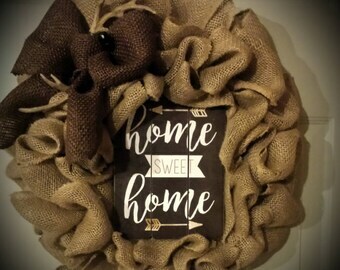 Wine Bottle tied with Burlap or Homespun Fabric. Choose from Barn Star Decal or Sheep Decal on Bottle. Pip Berries and Homespun Fabric may vary. Measures about 13 inches high.